Appearances by robots in the mainstream seem to be bubbling up all over Asia more frequently these days, and sometimes in the most unexpected places, e.g. mobile robots building office towers; cobots scrubbing with medical staff in operating rooms; and robots combining with artificial intelligence for food preparation. The multi-trillion dollar, global construction industry has long been one of the most resistive to robot disruption. 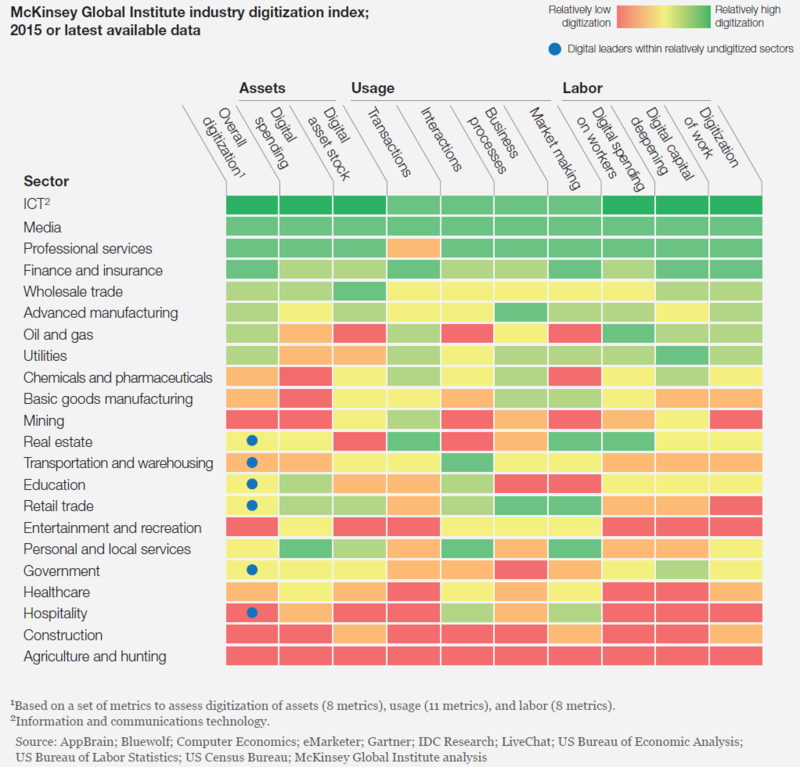 Construction is the second-lowest industry on the McKinsey Global Institute industry digitalization index. Add to those woeful numbers countries that generally are aging rapidly as well as experiencing an exodus of retiring construction workers—think, Japan—and the prospect of construction costs going up while productivity goes down, present very real, seemingly intractable challenges. A 30-story office tower, for example, takes about a half-million man-days to erect; retiring construction workers removed from the equation means more man-days added to the already glacial building process. Japan’s Shimizu Corp., a general contractor with its own Institute of Technology and Robot Laboratory has developed three, autonomous, mobile construction robots that are already reporting for work at a high-rise building in Osaka. To its credit, the Shimizu Institute is not just developing construction robots and sending them haphazardly off to construction sites. Rather, there’s a plan. The robots are parts of an overall automation plan, the Shimizu Smart Site, (see layout) “a next-generation production system in which robots and humans will collaborate to move construction projects forward.” One year plus $10 million later R&D has witnessed the completion of phase one. 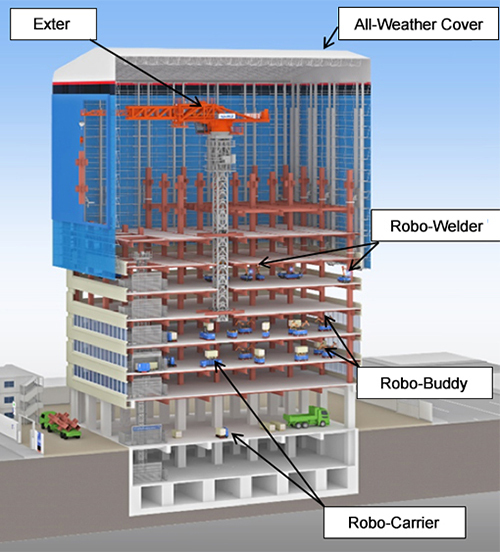 The products: Robo-Carrier (haul supplies), Robo-Welder (weld beams), and Robo-Buddy (install ceiling panels and floor tiles). Masahiro Indo, general manager at Shimizu’s construction technology division, forecasts the robots to save thousands of hours of human labor, which will still be minimal, he says, amounting to only about 1 percent of the total for a typical high-rise. After a demonstration test at the site for the Roynet Hotel, Tokyo, the company claims the robot will realize a time saving of 20 percent over the same manual spray process. Daiwa House has also added thirty Cyberdyne exoskeletons to three different job sites; the company claims that the exoskeletons reduce lifting heavy materials by 40 percent. Demand for medical and elderly care is sending evermore robot devices toward hospital and home markets, as well as motivating evermore partnerships among robot makers to pool resources. Aging populations and fewer medical staff are the primary reasons behind the new robot devices, but also increased accuracy and repeatability are allied motivators. Cobot tech, in particular, is maturing fast and finding its way into medical applications. KUKA for one has a medically approved cobot that it showcased both in Japan at Shanghai’s appliance and electronics expo. The LBR Med cobot offers ultrasound diagnostics that can be remotely operated using a video screen for rural and remote locations. A variety of other diagnostic tools can be attached to the robotic arm. Key is the cobot’s millimeter-scale precision that could enable future uses for injections and endoscopy. First encounter: AI and robots are meeting outpatients in China. “I feel sick. What’s wrong with me?” That common refrain heard in most hospital outpatient clinics is now being answered by robots. China’s Anhui Provincial Hospital uses iFlytek technology to greet visitors in the lobby of the outpatient department and offer relief for overworked receptionists. Patients can tell the voice assistant what their symptoms are, and then find out which department can help. More to the point: Guangzhou Second Provincial Central Hospital is using an “intelligent doctor” app on good old WeChat to offer patients a pre-diagnosis. Medicaroid, a joint venture between Kawasaki Heavy Industries and diagnostic device developer, Sysmex, is developing (since 2015) robotic surgical assistants (due out 2020). SONY has partnered with Carnegie Mellon (CMU) to combine artificial intelligence and robotics research for optimizing food preparation, cooking and delivery. The Japanese-American team will use control and propulsion technology that SONY devised while developing AIBO, its canine robot. Development of the housekeeping robot will begin with cooking tasks and carrying objects. Kind of nebulous, but hey, got to like the expertise coming into play here. “Technology is not destiny”…or is it? The Asian Development Bank (ADB) is out with a study that states that Asia has learned to love robots, which the west should emulate. 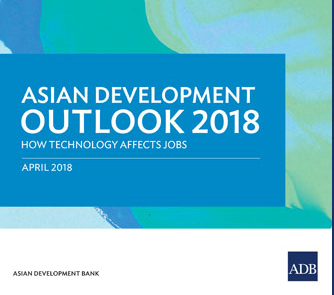 The ADB report, covering 12 developing Asian nations, shows how new technologies, such as “modern machine tools and computer systems in factories and offices, had stimulated higher productivity and economic growth.” The scorecard: 134m new jobs created, compared with the 101m jobs lost to technology. One thing is for sure, Asia doesn’t shy away from plugging automation, robotics and artificial intelligence into any and all facets of its society and work. To do nothing is unthinkable. Fails may be frequent, but will become less and less a factor as innovation pushes forward and matures.